It’s the age of aware and conscious parenting. The parent in you reads the labels, asks the right questions, research before blindly following something that the trend is. A few days back I had posted that I am trying a new milk supplement for my kids which is DHA enriched. 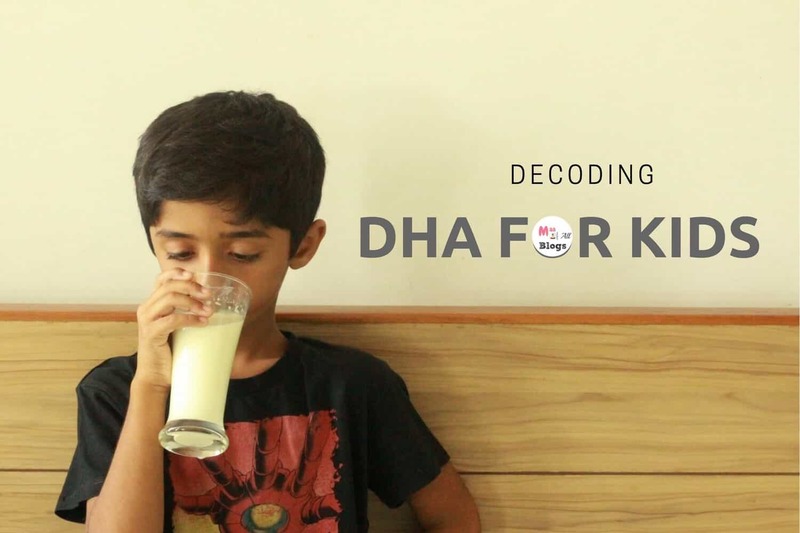 If you use a health drink supplement for your kid you might have come across the term DHA for brain development but do you know what it is or how it helps in brain development? Today’s post is just about educating you on that and then my sharing experience with Enfagrow A+. Docosahexaenoic acid (DHA)is an omega-3 polyunsaturated fatty acid found in the brain. The brain is full of fat concentrated in long-chain omega-3 polyunsaturated fatty acids (PUFAs) and it is the most significant fatty acid. It influences brain functioning in many ways, such as sending messages throughout the brain and growing new connections and pathways for those messages. The role of DHA starts as early as when the infant is born. Breastmilk contains DHA and the concentration in the breastmilk depends on the mother’s diet. During pregnancy and the first few years of life, it accumulates in the brain and retina of the eye and plays an important role in neural and vision development. This is why you will see most formula milk contain DHA. The Food and Drug Administration approved the addition of DHA to infant formulas in 2002. That just goes on to show it’s relevance to a baby and a kid’s diet. Researchers also believe that optimal levels of DHA, are very important during the early years when the brain is rapidly growing and developing for future intelligence, cognition, and socio-emotional development. Basically, DHA is nothing but polyunsaturated Omega-3 fatty acid which is essential for your child’s brain development and healthy eyes. They need it the same way they need their vitamins. Low levels in children have been linked to an increased risk of ADHD, vision problems, and depression. Omega-3 fats are essential fats that your body cannot produce and you must get them from your daily diet. The older you get, the greater is your need for animal-based omega-3 fat to prevent mental decline and brain degeneration. Studies have also shown that kids with good DHA levels paid more attention in class and better cognitive skills. How much DHA does your child need? Latest studies recommend consuming 250 to 500 mg EPA + DHA per day. *USDA recommendations. We couldn’t find a chart for Indian kids. Breastfeed your baby, for the first 6 months, if possible and focus on DHA adequacy in your diet. If not breastfeeding, choose an infant formula that is supplemented with DHA. Offer DHA enriched food each week to your baby or toddler. Switch to mostly olive and canola oils. This will cut down on the omega-6 fatty acids in the diet, which compete for the enzymes that ensure optimal DHA in the body. Sources of preformed DHA include oils from microalgae, fatty fish (especially salmon, mackerel, sardines, and herring), fish oil, meat, and eggs. Vegetarian sources are walnuts, ghee, coconut, flax seeds and fortified oils. Basically, anything high in Omega 3 will be converted into DHA by the body. It is supposed to be abundant in fish. However, kids shouldn’t eat fish on a daily basis, due to contaminants like mercury etc. Alpha-linolenic acid or ALA can convert ALA into DHA and EPA, so eating ALA-rich foods may slightly increase the DHA in your child’s body. However, studies have shown that the conversion of ALA to DHA in the human body is inefficient, as it depends on body mechanisms and metabolic rates usually resulting in less than 5 percent of ALA being converted to DHA. So finally, we have to depend on supplements in our food to get sufficient amount of DHA into our systems. I recently started trying out Enfagrow A+ for my 6-year-old. He is used to the Vanilla flavour milk supplement and for us, the switch was not difficult. My reason for choosing Enfagrow A+ was simple. All the above talk about DHA had me convinced to make the switch. Enfagrow A+ has more to offer & is beneficial, in terms of nutrients, in comparison to any other milk powder I have tried. Fortified with nutrients Enfagrow A+ helps in your child’s brain development, Immunity, and Overall growth. It is laden with vitamins and minerals to meet macro and micronutrient requirements for kids above the age of two years. The formula is in line WHO / FAO guidelines. To get yours click on this link. 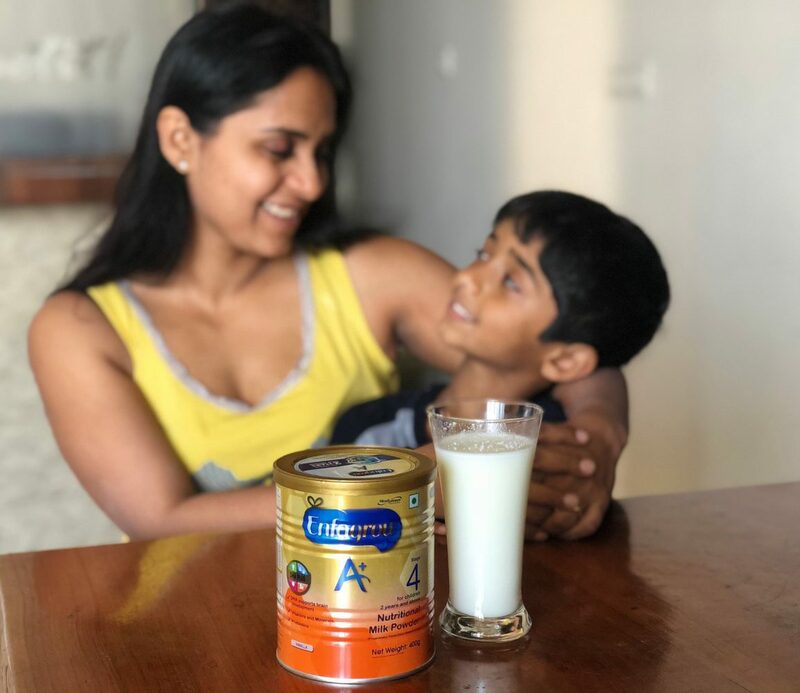 We are pretty satisfied with Enfagrow A+ and while the effects will show in long term, as a mom, I feel comfortable knowing the benefits of DHA and that irrespective of my child’s food choices I am able to add DHA to his diet. All The Nutrition Information That You Went Crazy Searching For !! Do let us know if you have been using Enfagrow A+ for your kids and how has your experience been. We can all add to each other’s knowledge. Also, I hope I have educated moms here on the benefits of DHA. See you until next time and keep spreading the #MaaGyan. Likes what you read here? Pin it for reference later. disclaimer: This post is sponsored but the views expressed are our own and while we recommend the product, please make your own informative buying choices and check on your child’s ability. I like that you have broken down the article to show naturally how DHA can be confused and also how the supplement helps to reach the daily requirement. Nice information. 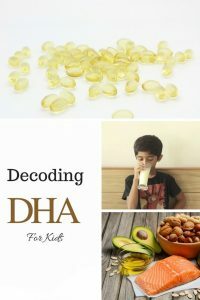 DHA is very essential for children. Thanks for sharing lovely information. DHA is very important for growing baby . I love the way you have describe it here on blog. Amazing and inspirational post. Very useful and beneficial tips of DHA for mommies. Great thought. Thanks, Prerna Sinha for your informative post. Parenting are not an easy task. As a parent, we must read this article for our babies safety. I had a little idea about DHA before reading this depth post, But now I fell the necessity of DHA.